Welcome to the Southern Illinois Spine & Joint Center of Marissa! At SISJC of Marissa, our patients are our priority. Your appointment will never be rushed, and you’ll be given optimal time with Dr. Kaesberg to discuss your medical concerns and conditions. Jim McMahon talks about chiropractic treatment for concussion relief. Eight health benefits from regularly seeing a chiropractor. A study published by Harvard Medical School supports chiropractic care. Did you know? 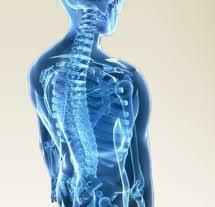 Five conditions chiropractors can treat.